Even though it requires a bit of carpentry know-how, setting up your own kitchen cabinets is an effective way to raise the value of your home, and it takes no more than a weekend to do so. Doing the job yourself can save you over a thousand dollars of labour, but it is not recommended unless you can follow a detailed plan and use the proper equipment. Always consult a professional to guide you through the design process. 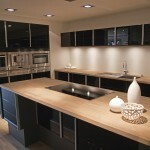 They will allow you to choose the right cabinets for your kitchen. The difference between face frame and frameless cabinets is that the former is visibly separated by the supporting frame, while the latter is seamless. Seamless frames are more difficult to install, as there is no room for error, and they are also more expensive. However, they are worth the extra money if you want a modern look to your kitchen. Preparation is a key part of installing cabinets in your kitchen. 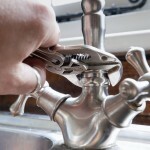 Before even thinking about beginning, you must ensure that the plumbing and electrical components and not under renovation, and that the walls in your kitchen are fully restored. Fortunately, you can complete this job with low-maintenance tools. Even if you are working on a budget, levels and grip clamps come in handy. Do not order your new cabinets until you know if your flooring will not be damaged by the removal of your old cabinets. Ensure that your walls are straight and there are no protruding drainage pipes. Consult a plumber if necessary, as such problems may affect counter-top renovations. Finally, before you begin drawing cabinet locations, ensure that your appliances can fit below the top of the cabinet frame. The standard height for floor cabinets is 34-1/2 inches, but add up to a 1/4 inch buffer just in case. If you are fully renovating your kitchen, as well, make sure that you have picked a proper place for the range hood, as that will ventilate the heat out of your kitchen. Now, using the plan that you received from a professional, you can begin installation. Start with the corner cabinet. You will use this as a benchmark for the remaining cabinets, so be very finicky in its placement. Remove all shelves and wedge it perfectly into the corner. Screw the cabinet in the wall to keep it in place. Now you can install the adjoining base cabinets. If possible, install the sink next, as it is heavier and you will want the least trouble putting it in. Align it with the corner cabinet. If the two components do not have sleeve and screw connectors, you will need to drill and hole and place a wood screw in. Wall cabinets are not as difficult as floor cabinets, but you still need to be precise in aligning them. One way of simplifying installation is to use a “helper box”, which is simply a portable bench that can hold the cabinets in place while attaching them to the wall. Screw the cabinet faces on the wall in the same way that you did the floor cabinets. It will give your kitchen a more unified feel. Any large panel cabinets should be hung. Now, for a finishing touch, add crown moulding support on the top of the wall cabinets with wood screws. Make sure that the trim of your crown moulding goes well with the cabinets. If they do not, they will stand out and you will not have a finished look. Cut the shims that may protrude at the toe-kick area by your feet. Add adhesive to keep the shims in place. Now that the installation is complete, you simply need to use a plywood jig to drill holes to set up knobs and pulls.